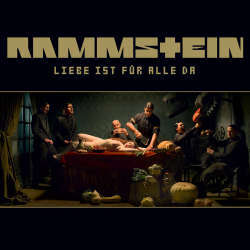 Music & Lyrics by Rammstein : Christoph "Doom" Schneider, Doktor Christian Lorenz, Till Lindemann, Paul Landers, Richard Z. Kruspe, Oliver Riedel. 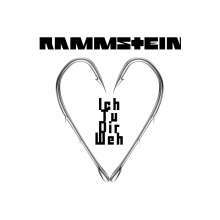 Copyright controlled by Rammstein (Gema). 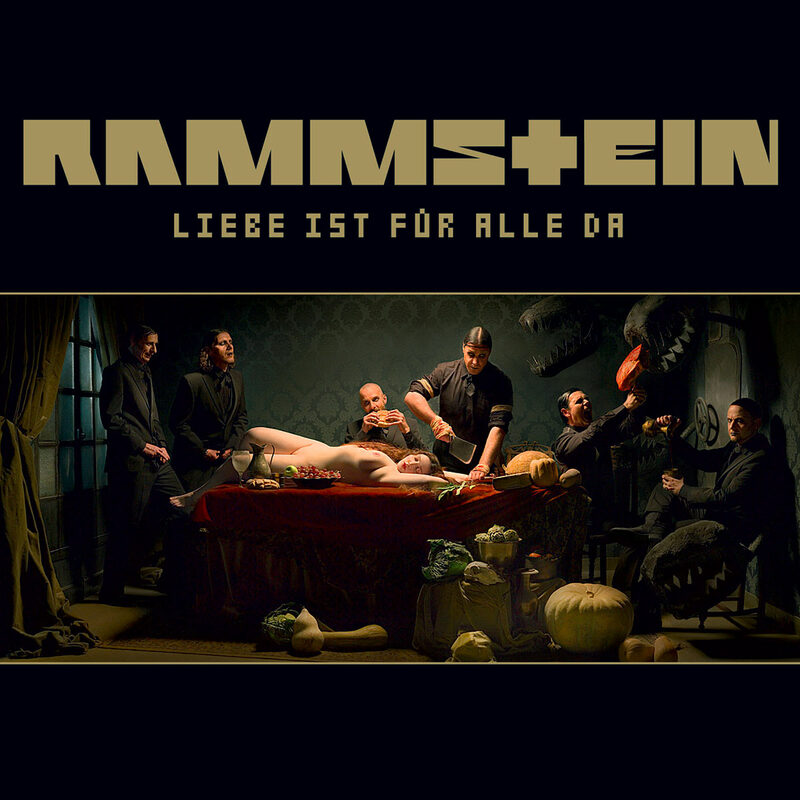 Produced by Jacob Hellner with Rammstein. Engineered by Ulf Kruckenberg and Florian Ammon. Mixed by Stefan Glaumann at Toytown Studios, Stockholm. Assistant engineering by Tom van Heesch. Mastered by Erik Broheden and Henrik Jonsson at Masters of Audio, Stockholm. Recorded at Sonoma Mountain Studio Estate, CA. Assistant engineering by Michael Scully and Scott Church. Drums recorded at Henson Studio B, Los Angeles, CA. Assistant engineering by Nico Essig. Additional recordings at Studio Engine 55, Berlin and The Big Island Sound, Stockholm. Orchestra, brass and choir arrangements on "Rammlied", "Waidmanns Heil", "B********", "Roter Sand", "Haifisch", "Roter Sand (Orchester Version)" and "Donaukinder" by Sven Helbig. Performed by "Filmorchester Babelsberg", conducted by Jörg Iwer. Choir performance by "Konzertchor Dresden", conducted by Jörg Genslein. Childrens choir on "Donaukinder" by "Kinderchor Canzonetta", conducted by Jochen Wittur. Orchestra & choir sessions recorded by Michael Schubert at Scoring Stage Babelsberg. Protools programming orchestra & choir sessions by Falko Duczmal. Yodel on "Roter Sand (Orchester Version)" by Ernst Pfändler and Joseph Rempfler, recorded by Sven Helbig, Urnäsch and Appenzell in April 2009. Whisteling on "Roter Sand", "Roter Sand (Orchester Version)" by Jenny Rosemeyer. 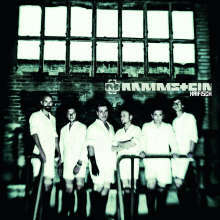 Rammstein on the net: www.rammstein.de / www.rammstein.com. Management: Emanuel Fialik & Pilgrim Management GmbH. 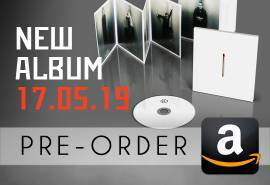 Thanks for their support : Ronny Petz, Heiko Möller and Jagdschule Grambow for the professional support at "Waidmanns Heil", Bill Zabit, Robin Albachten, Kevin Robertson, the crew of Sonoma, Ulf Zick at Gibson, Tech21, Norbert Saemann and Meinl Cymbals, Thomas Lang, John Voss at Apple Germany, Marco Soccoli and Vic Firth, Thomas Barth and Sonor, Stefan Kühn at Soundservice/ESP, Tien at Mesa Boogie, Trace Davis at Voodoo Amps, Ansgar at Digidesign, Ian Jones at Telefunken USA, Johannes Köpp, Pascal Miguet at Sommercable, Mike Claiborne at Creation Audio Labs, Jan Klemm at Native Instruments, Apple Logic, Holger Stonjek at Sandberg, Tilo Hermann for ASR support. Special thanks to : Emanuel Fialik, Birgit Fordyce, Marion Schmidt, Stefan Mehnert, Patricia Stohmann, Jan Schäfer, Matthias Heyroth, Rainer Bickel, Mario Höftmann, Réné Brückner, Tom Bohne, Daniel Lieberberg, Andreas Daermann, Siegfried Schuller, Cornelius Ballin, Dante Bonutto, Todd Schulz, Felix Schramm, Scumeck Sabottka, Nicolai Sabottka, Thilo Goos, Boris Schade, Jonas Akerlund, P.R. Brown, Dirk Rudolph, Anne Becker, Jeremy Williams, Liz Berg, Carol Schimpf, Jan Beder. Richard Z.K. plays ESP guitars, Mesa Boogie Dual Rectifiers Pre 500, Triaxis, Mesa Boogie 295 Simulclass Stereo Power Amp, SIT strings, Gibson J200, Telefunken U47, Neumann M149, 1081 Neve, Boogie Rectifier cabinets, Sommercable, MW1, Eventide Eclipse, API, Dean Markley, EMG Pick ups. Christoph Schneider plays Vic Firth drumsticks, Sonor drums and Sabian Cymbals. Christian Lorenz plays ASR 10, Roland V-Combo.